We spend a good deal of time focusing on Bigfoot photographs and video to prove their existence, but in the process, we are missing a huge body of evidence that can be obtained more readily - audio. I suggest that those who are doing research, please listen to all audio -- amplify it many times, even slow it down up to half speed; you will be amazed what it reveals. Audio is much easier to gather that photographic for the very reason that to photograph, you must be within view of a Bigfoot which means you are in view of the Bigfoot too; not a likely scenario. As well, they are aware of cameras when mounted in locations and do avoid them at all costs. What they do not realize is that their voices, even in the distance, can be picked up and amplified to be heard. So, I highly suggest you review past evidence and amplify the sound many many times over. You will be surprised what comes across. 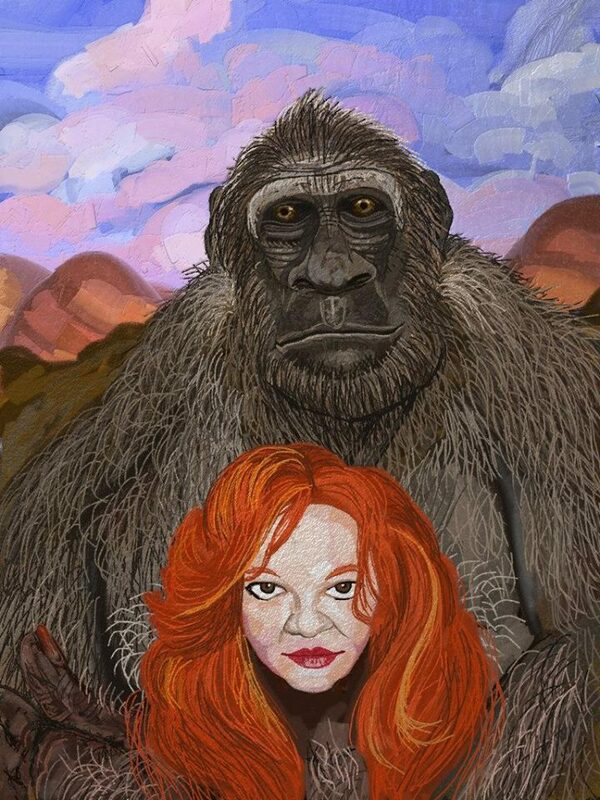 This was a beautiful painting done by the cryptid artist, Thomas Finley. It is a very proud thing to be in one of his cryptid works. Me, putting myself before the Big Man to protect him or perhaps as an intermediary.